Explore the Somerset Historic Environment Record to see references to the 2012 excavations at Hinkley Point. The reference number is 32304 and can be seen by following the link below. Please note that as post-excavation work is being carried out until 2019, a full published report will not be ready for some time. 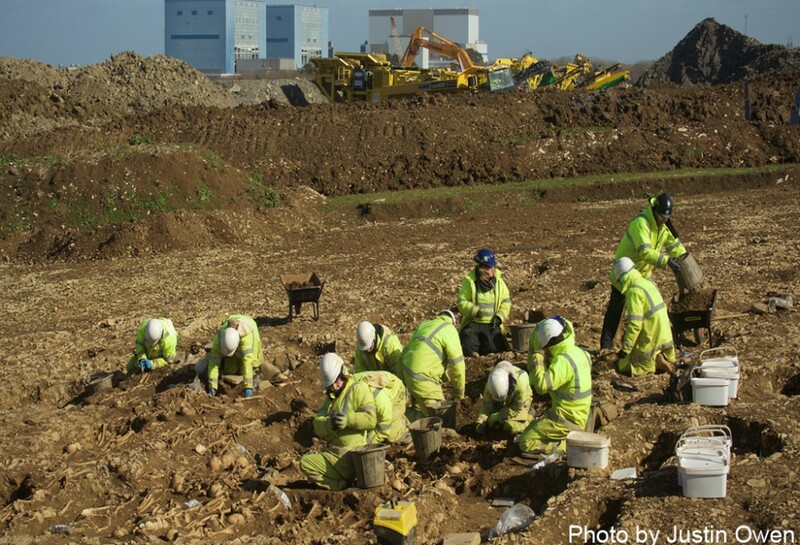 Photographs and footage of the 2012 excavations at Hinkley Point can be seen below. South West Heritage Trust Youtube channel featuring films of the Hinkley excavations. Click here to see a Campus EDF Energy video about the Cannington Court excavations and open day. Site Supervisor from Cotswold Archaeology talking about the start of the Cannington by-pass excavation. This website is produced by the South West Heritage Trust. Information and images may be used/downloaded for educational purposes freely. For use of images or information in an activity not related to learning please contact us 01823 278805. The definition of information in relation to this website includes but is not exclusively limited to: embedded text, PDF documents, PowerPoint shows, Word documents, Excel spreadsheets and drawn images. The archaeological archive from Hinkley Point will eventually be deposited at Somerset Heritage Centre. The South West Heritage Trust will continue to acquire human remains where they form an integral part of an excavation archive and where they are deemed to have research value. The acquisition and care of human remains will be carried out in accordance with the South West Heritage Trust’s Policy for the Care of Human Remains (2011).